In case anyone was wondering…there are more of course. Yes yes yes. Many more. This past week reminds me why I love living in New York City so much, even though I’m desperately broke and fairly exhausted. Such rich soil for an artist! 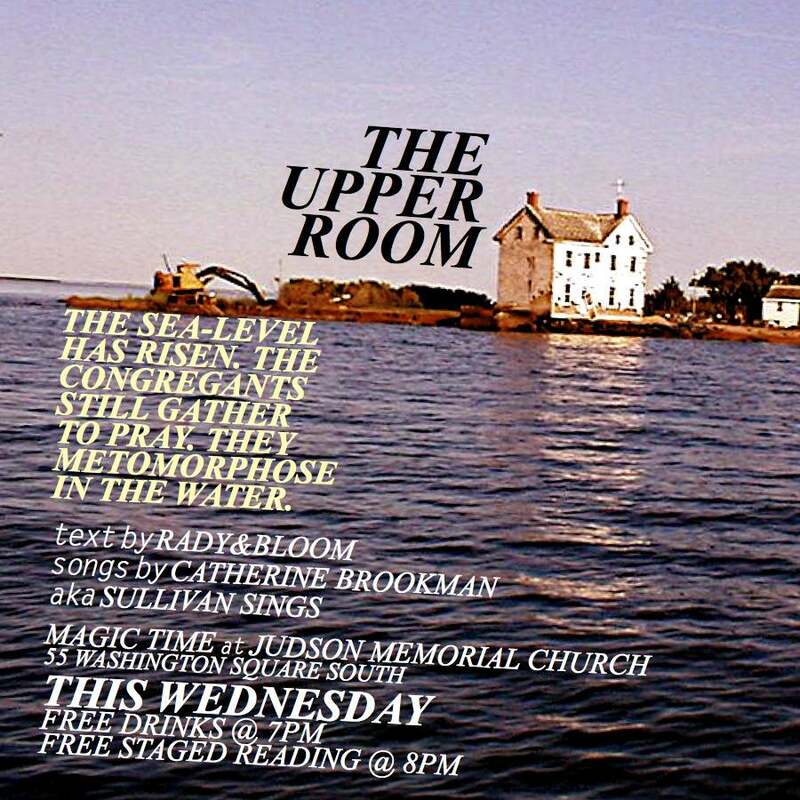 I had a wonderful time being a part of the development and reading of RadyBloom’s THE UPPER ROOM on Wednesday. Last Sunday I went to The Brick and met a group I had been paired with to create a piece. We had this last week to create a performance that utilized one of four computer apps we were given and our topic was surveillance. Over a day or two we got something down on paper and our two tech types figured out how to incorporate the Layar app while also incorporating some other super cool digital media stuff into our performance. I asked for a “beautiful and grotesque dance” and that’s what I got. I asked to see images of a skeleton and blood – they made it happen. We rehearsed a VERY LITTLE and exchanged a few frantic emails. And then tonight we performed our decidedly experimental piece at The Brick after two other teams performed their pieces. 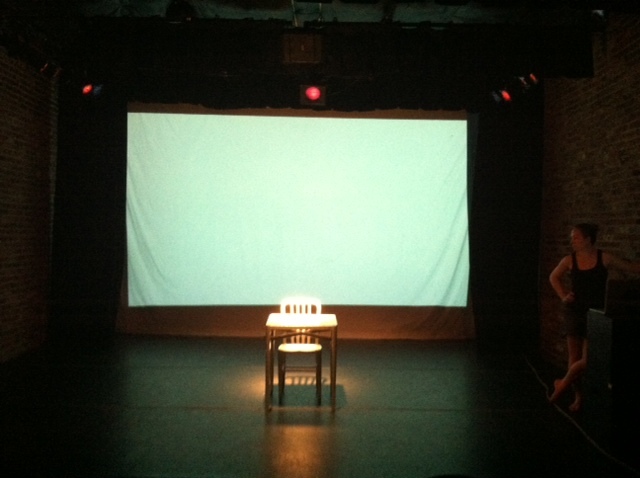 I thought our piece was beautiful and strange and creepy and relevant – and I was even in it in the last several minutes. We didn’t win first prize, but I FEEL LIKE A WINNER because I got a taste of what technology can do to help experimental theater makers realize shadowy visions. Boom. Thanks to Paul, Christine, Katherine and Alexis – go The Strange Team. Performances by CARA SCARMACK, LUMBER ROB and MORE! Take the L train to Jefferson Street. Exit front of the train. Walk against traffic on Starr Street. 1/2 block on the right (approx 20 minutes from Manhattan. 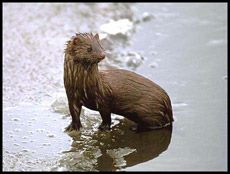 If you can’t make it, consider donating to the WEASEL Kickstarter campaign. The Bring a Weasel and a Pint of Your Own Festival will be at Classical Stage Company Sept 5 – 8. Produced by: Jessica Almasy, William Burke and Kate Benson. Directed by: Benjamin Kamine and Christopher Burris. Plays written by Dennis Allen II, Kim Davis and yours truly. More info to come, but – this year’s theme is THE MINSTREL SHOW. XANADU was a big movie for me when I was a kid. So were GREASE, THE SOUND OF MUSIC, WEST SIDE STORY, MY FAIR LADY, 16 CANDLES, HEATHERS, A NIGHTMARE ON ELM STREET, HALLOWEEN, SID & NANCY, STAND BY ME, RUNNING ON EMPTY, DOGFIGHT and THE KARATE KID. Among others! What were some of your favorite films growing? Join us at Judson for free refreshments and a free reading this Wednesday, July 17th. The pre-show reception begins at 7pm and the show follows at 8pm. 55 Washington Square South, Greenwich Village. Within the ever-inspiring and hospitable walls of Judson Memorial Church we’ve begun workshop rehearsals for Wednesday’s staged reading, the first public showing of THE UPPER ROOM, a brand new piece that fuses congregation, sea-level rise, and human-to-sea-creature metamorphoses. Catherine Brookman (together with guitarist Joe White as music project Sullivan Sings) has created a cycle of spiritual water songs. And we have brought together a fiercely multi-talented and energetic congregation consisting of Clare Barron, LaChrisha Brown, Starr Busby, Tjasa Ferme, Darcy Fowler, Amina Henry, Evan Kuzma, and Madalyn Mckay. In the spirit of creative communion, we welcome you to be the first to experience THE UPPER ROOM. We’d be honored to share with you at this developmental stage and hear your thoughts. This is the poster image for the upcoming production of WATER by Drama of Works. I pretty much love it. Stuart Bridgett and Kristin Wahrheit-Bresler as harried parents in When The Children Went Missing at Script Tease Adapts, Brass Tacks Theatre Collective. They were so brilliant!